Developed to protect the naturally recurring oils and rejuvenate hair and scalp health, Tabitha James Kraan took her love of all things organic to a new level. Tabitha’s range of luxury organic professional & retail products are set to revolutionise the market with their very high content of certified organic ingredients. 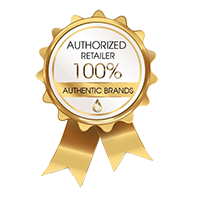 The intention of the brand will always be to deliver the cleanest possible options for hair care with professional performance and oriental scents such as Amber, Myrhh and Rose. Tabitha James Kraan organic and natural products will nourish and feed the hair, and won’t harm the planet due to luxurious looking recyclable aluminium bottles to preserve precious vitamins and essential oils in every product. Tabitha James Kraan collection includes hair cleansers, conditioners, organic hair perfumes and dry shampoos for fair and dark hair.